Industrial premises often pose many challenges when it comes to security. From construction sites, warehouses to factories that are often vast, open air, remote locations it can be extremely challenging to secure these areas. With many factories located in remote locations, upholding a rigorous factory security plan will indicate that your site is by no means a site that makes it easy for vandals, thieves and intruders of any kind to take advantage of. With many warehouses and factories falling victim to expensive equipment being stolen and machinery being tampered with, this is not only financially detrimental but can leave your staff operating dangerous equipment. With material theft on the rise and industrial sites often located away from the passing public or local authorities, it’s down to you and you alone to ensure that you’ve got the security of your site covered by a company you can trust. Leaving abandoned, valuable equipment and materials lying around overnight with no sign of security in place is a criminal’s heaven. This is why half the challenge is ensuring you’ve got the deterrence factor in place to avoid any criminal activity in the first place. Equipping your site with not only active CCTV and industrial security guards, but fencing and security signs is a positive way of directing any potential criminals away from your site. With constant high volumes of visitors and workers passing through your doors, extensive stock and expensive equipment lying around, factories make for an extremely vulnerable environment when it comes to crime. 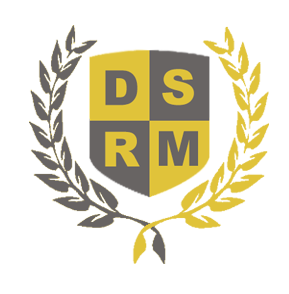 DSRM fully understands the immense potential for losses and liabilities manufacturing and industrial plants face every day. From loss prevention to unlawful entry, we know the risk you face on a daily basis. The security of manufacturing, industrial, as well as warehouse and distribution facilities and operations is an issue of significant importance. Our dedicated manufacturing team has extensive experience and an in-depth understanding to meet the special demands of the manufacturing sector and focusing on the criteria that matter most to our customers. We work closely with our manufacturing customers to devise a security solution that is both relevant and robust whilst listening and aligning to cost pressures and a competitive environment to drive the innovation they need to achieve their security goals. From security at the gatehouse of a site and weighbridge operations, through to vehicle control, Health & Safety and loss prevention are but a few of the challenges faced by our employees working within this sector. In Addition To Counter-Terrorism Considerations, Manufacturing And Industrial Security Assessments Should Consider All Sorts Of Security-Related Harm That Could Occur Including Sabotage, Arson, Theft And Pilferage, Vandalism, Trespassing, Workplace Violence, Activist Disruption, Contamination, etc. Therefore DSRM has developed bespoke, comprehensive training courses tailored to the manufacturing sector, recognising the ever growing security issues and specific threats faced by this sector. Develop Industrial Emergency And Crisis Plans, To Include Workplace Violence, Bomb Threats, Terrorism, Sabotage, Contamination, etc. Identification and search process of visitors. Promotion of onsite Health & Safety. Search process of visitors, bags, vehicles and rooms. Multi lingual in languages in accordance to your consultation. 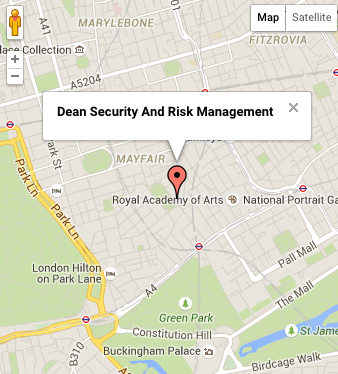 Level 2 Security supervision / Level 3 protection services pending risk assessment. Having DSRM on hand we’ll tackle all of the challenges your factory premise offers head on, integrating our unbeatable, qualified and trained operatives with our technological security devices we’ll provide that all important deterrence your factory needs to warn off criminals and opportunists.